I love seasonal make-overs. Although I'm more of a summer person, there is something special about autumn and winter too. Staying loyal to my Nordic roots, I tend to go for lighter colours that bounce light off beautifully as the days get shorter. I guess the most important part about winter decor for me is comfort and cosyness. After all if you're going to be stuck inside on a cold day, you might as well make most of it, right? I've been a massive fan of Sainsbury's for as long as I can remember (and I also do our weekly shop in our local Sainsbury's that just happen to have a giant homeware section too!). I love that the designs are spot on trend and affordable. I also attended their AW17 press show last summer, so you can imagine how thrilled I was when they asked me to feature some of their new season accessories on the blog. Two new collections really stood out for me this year. First of all, the Nordic Skies collection has my name written all over it. 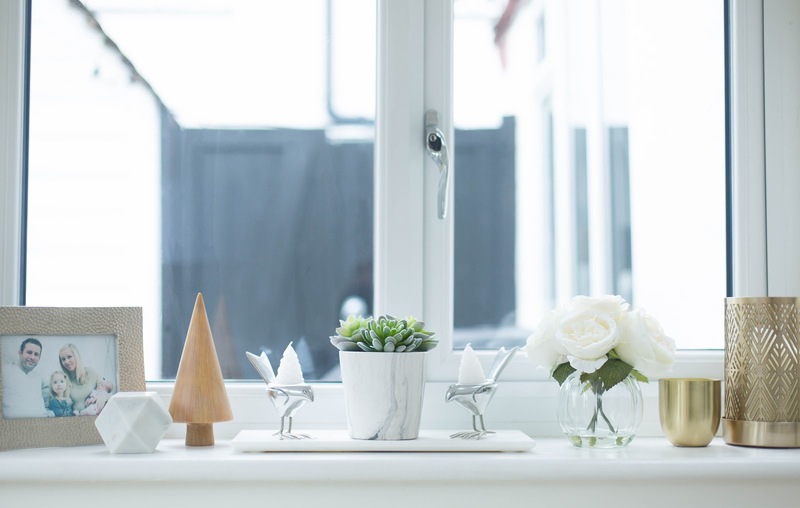 There are lots of light wood accessories, little trees and soft, comfy throws. I adore the simple lines and the clean aesthetics that work so well in my opinion with also more glamorous accessories. 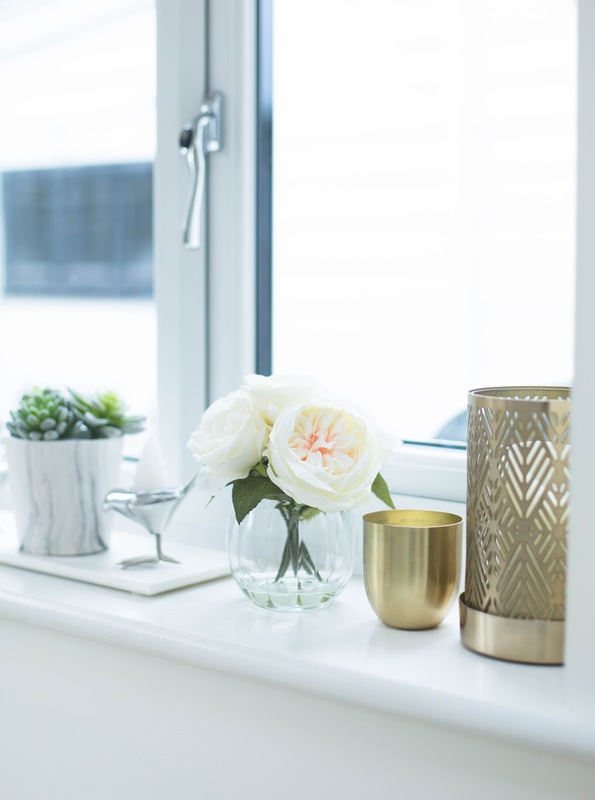 You see, as much as I love minimal Scandinavian design, I also like to decorate with metallics (mainly gold, silver and brass) which is why I decided to style my favourite pieces from the Nordics Skies collection with some glamorous accessories from their Renaissance Boutique range. These two collections combined will give your home a luxe look without breaking the bank. Is it just me or has the weather gotten Arctic here in the UK recently? If you live in an old house like I do, you know what I'm talking about. My feet seem to get especially cold which is why I like to snuggle under a warm blanket most evenings. 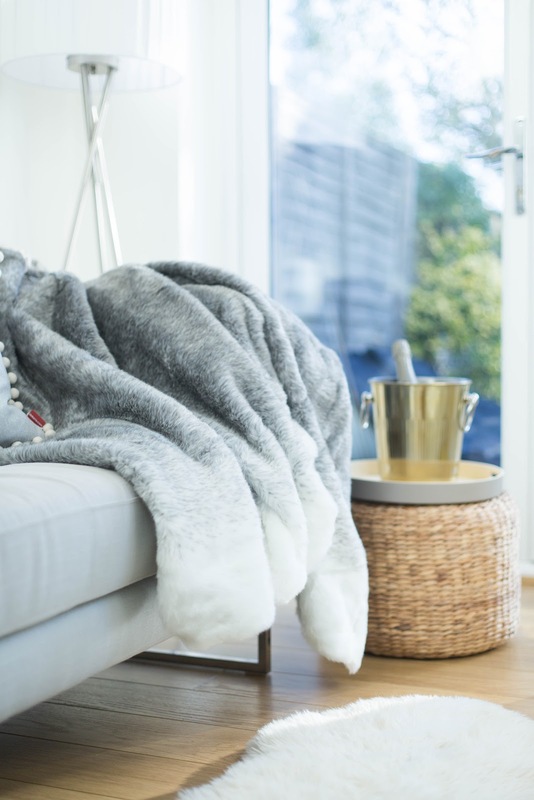 If you're looking for a Winter throw that will also double up as a comfy Christmas throw, you'll love this ombre faux fur throw. It feels so soft and luxurious and it's without a doubt the warmest throw I own. 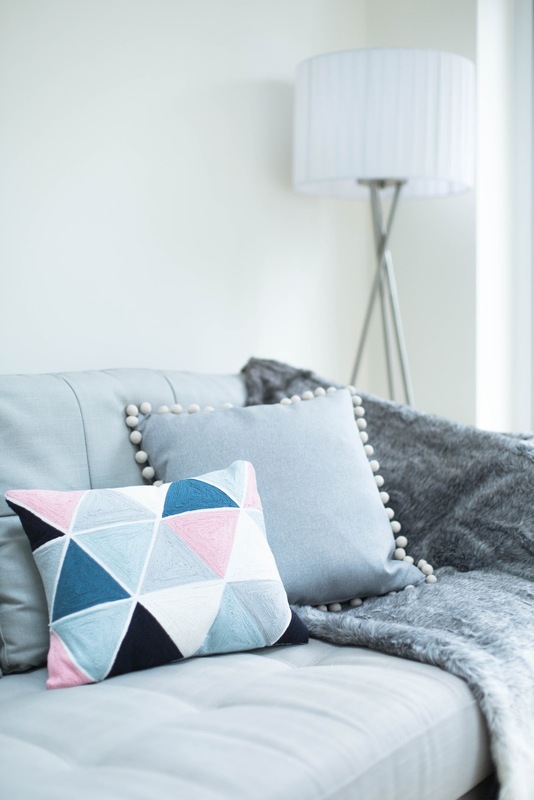 Now you probably know how much I love patterns which is why this geometric cushion is ideal for our lounge. The geo patterns looks very pretty and the soft pastel colours add a subtle feminine touch to it. It's quite a small cushion though, so it's ideal as a decorative cushion or perhaps in the kids room. I still cannot seem to stop obsessing over gold and brass. I'm pretty sure there are more gold accessories in our house now than silver (and trust me I used to be mad about silver too!) 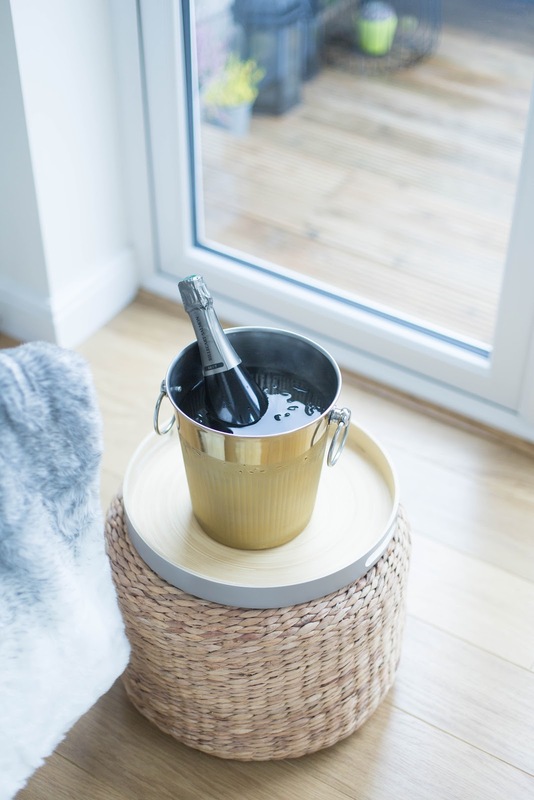 I love this gold wine cooler from the Renaissance Boutique range. You can use it to chill wine or champagne and the best part is that it has handles on the sides which makes it easy to carry around. It's so pretty that you won't want to hide it in a cupboard though. 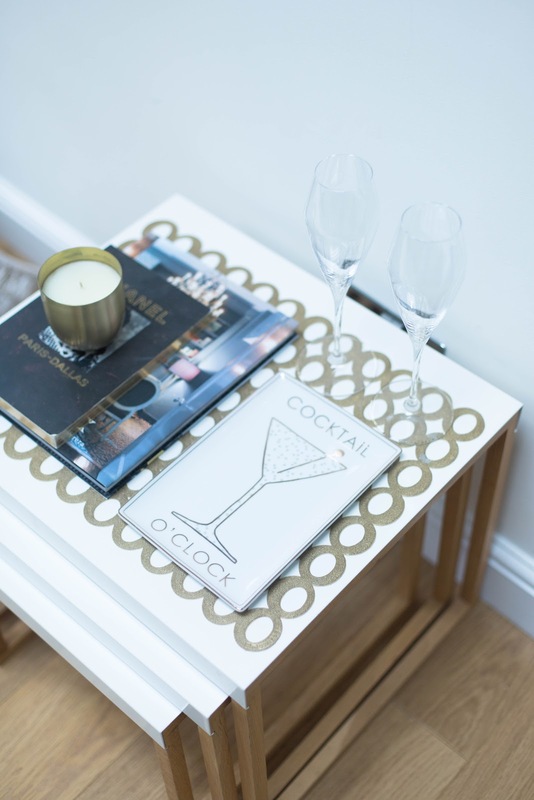 Leave it on a side table or a cabinet to impress your guests. 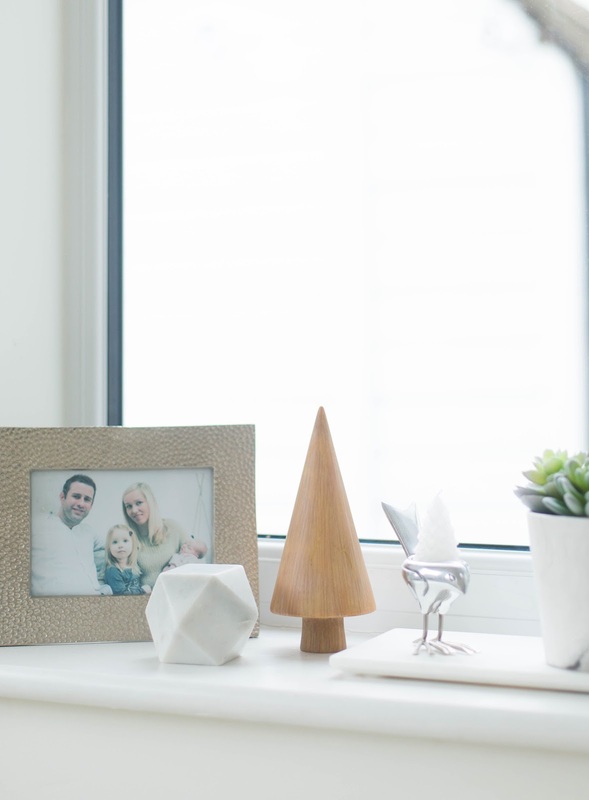 I adore this mini wooden tree from the Nordic Skies collection. It's so simple, yet effective. You can get away with displaying it even after Christmas has passed. I also love the contrast of wood and stone which is why I placed this stunning white marble object next to the tree ornament. 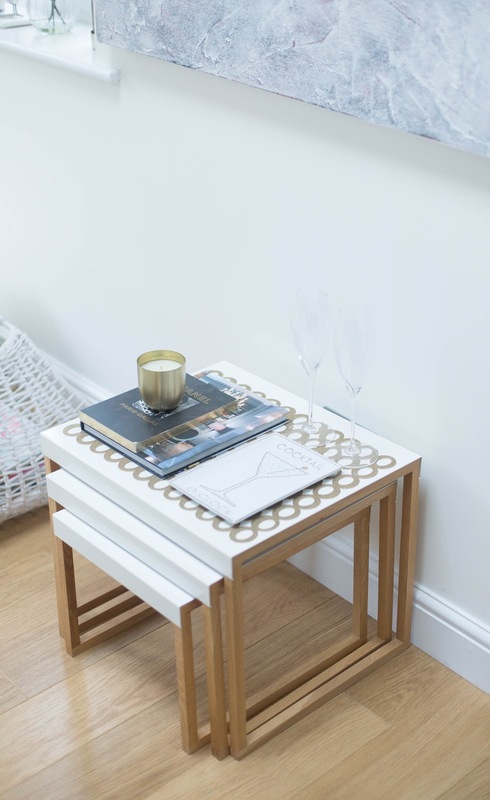 Honestly, marble and wood are a match made in interior (bloggers) heaven. Don't you think this faux succulent in a marble effect pot looks shockingly real? Although, I love fresh cut flowers I couldn't resist these faux roses in a clear vase. The bouquet is so elegant and simple. The neroli and amber gold candle is perfect for the festive season. Place it next to the large metal lantern for a more elaborate ambiance. I'm in love with this opulent cocktail platter from the Renaissance Boutique range. You could use it as a party platter or to serve drinks for two. I can see myself using it for nuts and little snacks before dinner. It's so pretty and the best part is that it's dishwasher safe. 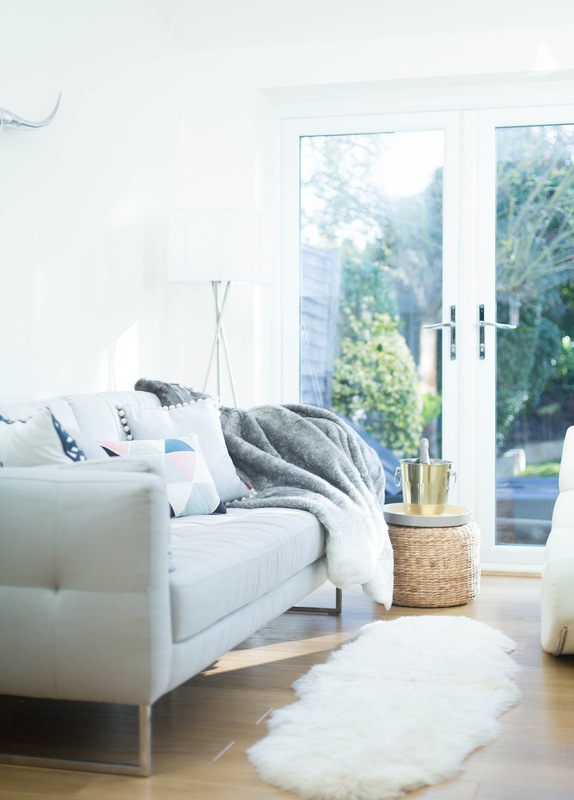 I hope I've inspired you to get your house cosy this winter. Some of these products are not available online, but I've linked as many as I could find. However, in my humble opinion, it's always better to go and see the products in person if you can. So next time you're doing your weekly shop in your local Sainsbury's, why not take a look at the homewares too. I really think you'll be blown away. Find more inspiration from Sainsbury's here! * This post is in collaboration with Sainsbury's.